As innkeepers, we are accustomed to working very hard to get our websites to climb the rungs of the Google search engine results (SERPs). But the Google algorithm is a moving target, and its frequent changes mean we are constantly chasing the algorithm with our SEO techniques. Enter Go-Trippin – a new website, created by Acorn Internet Services, presenting information on local activities furnished by innkeepers. This may sound like a directory of local businesses, but it is much more than that, in its own subtle way, Go-Trippin’s opportunity is entirely unique. Go-Trippin does bear some resemblance to a traditional directory, in that contributors also have a listing for their B&B on it. However, that is not the real purpose of Go-Trippin. Also, like any new directory, it is likely to be some time before that generates a significant amount of traffic to your website. The real value in Go-Trippin is its ability to promote the authority of each person who write for Go-Trippin. Every post contains special tags, identifying the author and the geographic area they have written about. As an added bonus, posts may appear on Google’s Niantic Labs’ Field Trip app. 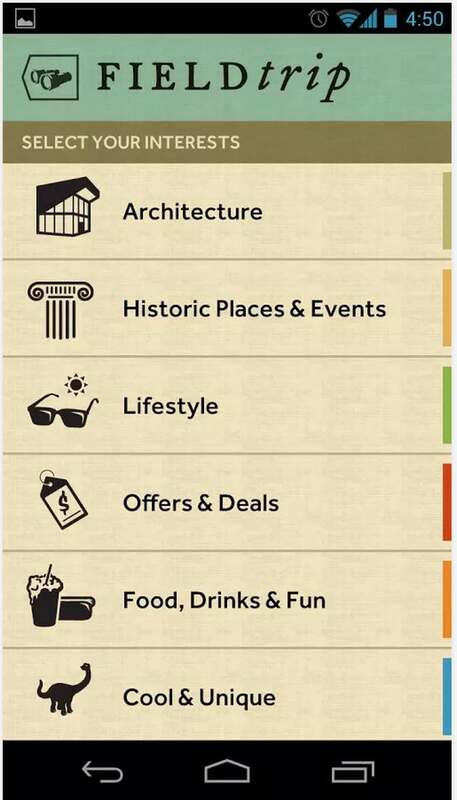 Available only for mobile devices, Field Trip supplies users with recommendations for nearby things to do, places to visit, and local businesses nearby. 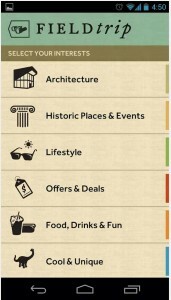 Go-Trippin capitalizes on this, as who better to tell people what there is to do in their areas, and make recommendations of local businesses than innkeepers? So, is Go-Trippin simply building up content by the writing of innkeepers, who must also pay for the privilege? Hardly! In fact, the reason you want to be writing for Go-Trippin is to build quality content so Google will give you credit as an authority. So, with that, how does being a Go-Trippin contributor help you? Go-Trippin uses author tags to identify its contributors. If you’re not sure what that means, see Google’s information on it here and here. The short version is that Google uses these tags as a form of verification, to identify you, through your Google Plus profile. As such, the more quality content you publish, the greater authority Google gives to you as an author. Contributor profiles may include connections to their website, so, to some extent, it is also boosting your website, as well. The quotes from Google indicate that Google is placing increasingly greater emphasis on verified authors, who have built authority that Google can validate. Google’s emphasis on verified authors is only going to continue to grow. Consequently those who get in early, and work to build their authority with quality content, will see that effort pay off with greater authority. Since those contributors will also have authorship set on their B&B websites, too (you do have that set, don’t you? ), the boost is very likely to carry over to that site, as well. Do we sense a pattern here? So, is it worth it to pay to be a contributor on Go-Trippin? To be sure, while all indications are that it will be very beneficial, only time will tell. However, since Go-Trippin only allows one contributor in a particular location, adopting a wait-and-see attitude could mean you miss out on an amazing opportunity (and your competitor may take advantage of it). One thing we can say for certain, is that not contributing will certainly not benefit you, and if you’re wrong, your competitors may be so far ahead in building authority that catching up is simply not feasible. Full disclosure: I do some freelance web development and consulting for Acorn Internet Services.